Michiana Pallet Recycle is a full service pallet provider based in South Bend, Indiana. We have been manufacturing and repairing pallets for over 20 years. We are committed to giving you a quality product. 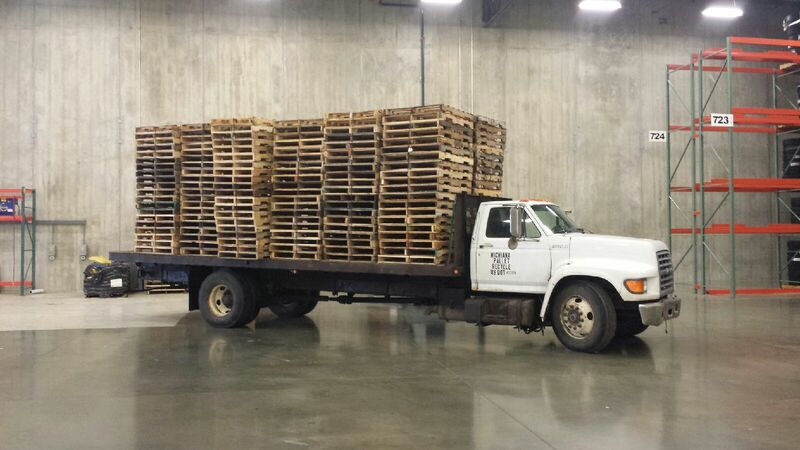 We carry a variety of different sizes and grade pallets, both used and new, to cover all your pallet needs. We have a pallet that can suit your specific needs, available for order by pick-up or delivery. Our South Bend pallet manufacturing and servicing company can help your business within the Indiana, Michigan, Illinois and midwest region.